I will see my daddy cry. I will be all dressed in white. I will be wearing something borrowed & something blue. I will laugh & I will cry. I will walk down an isle to music playing, 'here comes the bride'. I will make a promise & recite my vows. I will cry happy tears. I will say I do. I will marry my best friend. I will be married in the church where I grew up & where my parents wed. I will hug my momma. I will dance with my daddy. I will kiss my husband. I will eat lots of cake. I will see all our family & friends. I will have a new last name. I' will experience the best day of my entire life. This is so, so sweet! 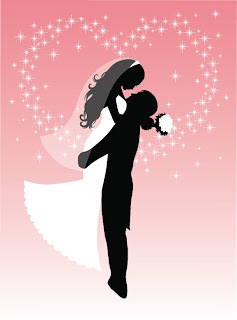 I hope your wedding day is filled with nothing but bliss, beauty, true love and sheer happiness! Love you! Beautiful words! Congratulations on your upcoming wedding. Oh I loved this post! So many exciting things to look forward to! Try and enjoy every minute because it goes by fast!! !